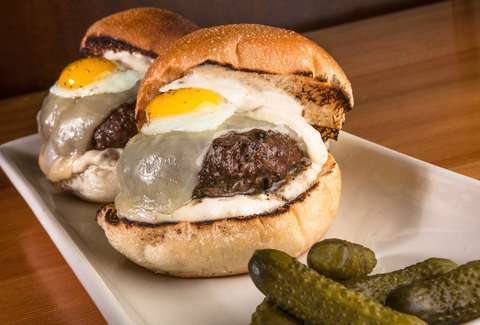 The Kobe Sliders at this Southie hotspot are totally next-level, owing their tastiness to bacon aioli, muenster, and a sunny-side up quail egg. 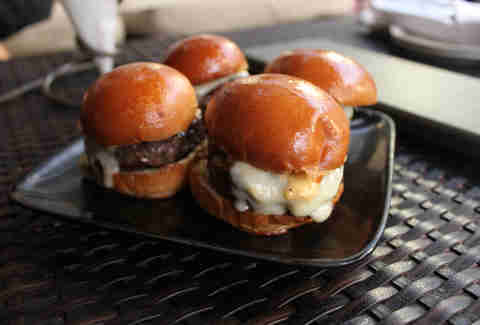 Better still, they are available for brunch, lunch, AND dinner, because sliders are an anytime snack. 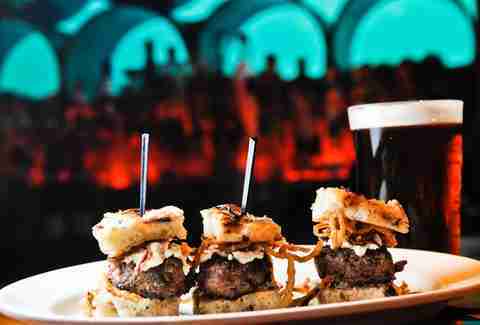 Ashmont Grill, always rocking their eclectic menu of global comfort foods, goes Greek for these wood-grilled lamb sliders on olive focaccia. They probably could have stopped there, but they add on cucumber raita, feta, and crispy onion strings for some proper Mediterranean mojo. Even your Yia Yia would approve. (She also wants you to have a beer from AG’s stellar list). 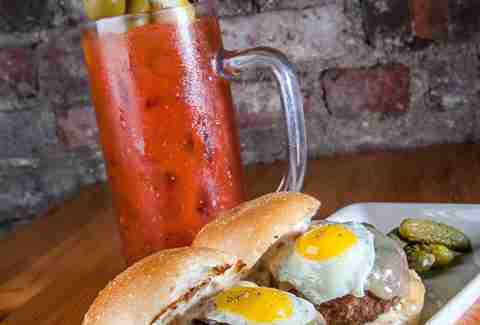 Lucky’s, the Fort Point pioneer, also blazed a trail as the home of Boston’s Original Mini Burgers. With their own special sauce. So there’s that. These days, these mighty bites have buddies: pulled pork minis sauced with homemade sweet & tangy BBQ goodness and... quail egg Kobe sliders (spot a trend?!). Pro tip: go for the combo board and get one of each. Inside Minibar, it IS a small world after all (minus the creepy animatronic children and insufferable music). 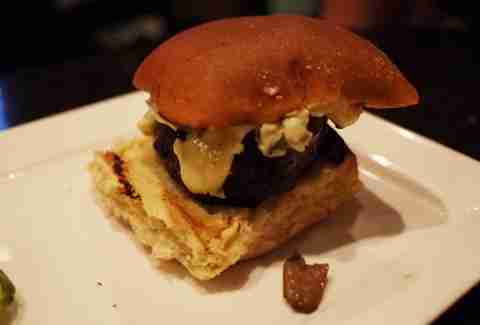 They take pride in making satisfying small plates with big flavors, and their sliders make a compelling case. 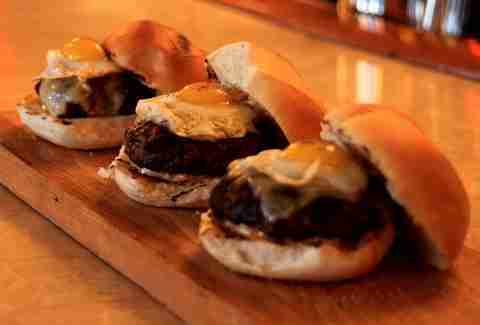 They source New England beef for their burgers, and keep it close to home with Vermont sharp cheddar and spicy aioli. Super bonus: from 5-7pm, Monday-Thursday, they’re $2 each while they last. We’ll see you there around 4ish. You could base a religion on Church’s mini sammie selection, or you could just become part of the cult following. Currently on the altar of awesome are beer-braised brisket with Swiss, black Angus with truffle aioli, and a crab & andouille combo crowned with Old Bay tartar sauce. Hallelujah!